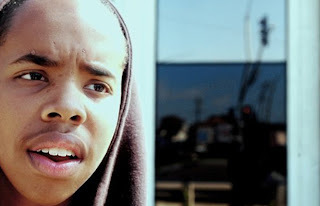 Not long ago, Earl Sweatshirt performed three new tracks off his upcoming debut album Doris, one of those being "WHOA." Now we have the official video that was released last night, which if course features the OF ringleader Tyler, The Creator. I'm back and forth with Earl Sweatshirt, because the kid clearly has the wordplay and flow, but sometimes his songs are a miss for me. "WHOA" is one that maybe I need more time to digest, but check out the video below and let us know what you think.